Our experience in the residential sector means that we are able to offer bespoke design solutions across a variety of building types, from listed buildings to modern homes, thatched cottages to townhouses, or self contained annexes to large country homes. We look to provide appropriate design solutions in each case ensuring that proposals are relevant and fitting to their context. We believe that a respect for existing structures and a good understanding of proportion and massing means that we can sensitively handle the differing design approaches that are required depending on the type of project. Our years of training and experience enable us to provide design solutions that fully understand how spaces are used and how they can be successfully created giving added value to completed projects. We are able to competently detail historic window joinery as well as contemporary corner glazed steel structures and don’t shy away from blending and complementing traditional detailing with contemporary materials (or vice versa) to achieve well considered results. We have established an excellent reputation for designing traditional vernacular housing in Essex and the surrounding counties. 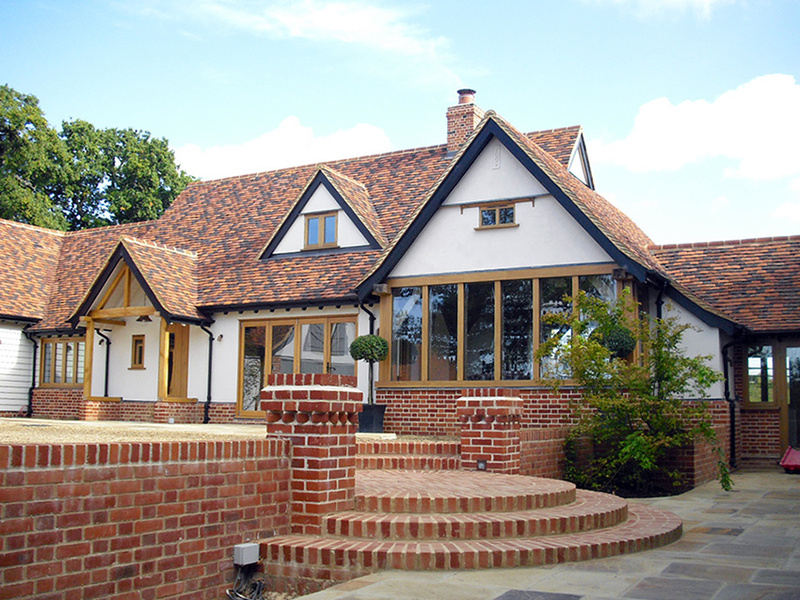 Raised brick plinths, rendered timber frame walls, steeply pitched roofs with hand made clay plain tiles, gabled elevations, well proportioned windows and an understanding of traditional detailing and local materials are typical of our vernacular house designs. Whilst traditional in appearance we are used to working with more modern methods of construction, often alongside timber frame specialists over a range of different projects to produce the basic shell of a building. A wealth of experience designing traditional vernacular buildings does not mean that we won’t consider contemporary approaches to new house projects as this remains a valid solution in many contexts. As well as working with private clients for one off houses we also welcome opportunities to work with small scale developers for sites of up to around a dozen houses together with small scale commercial ventures such as barn conversions for office use and community buildings such as village halls. Our design process in all cases benefits from our understanding of the local planning authorities, their policies and the procedure, together with our relationship with many of the local conservation officers. Beyond the planning stage our understanding of technical issues in relation to building regulations and other requirements is greatly increased by our involvement in projects on site and delivering these through to completion. The level of detail required during this process feeds directly back into the design process and the detailing of future projects. 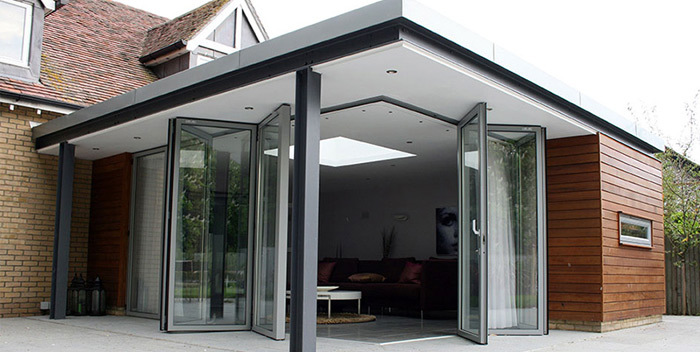 We will always look to enhance the quality and the relationship of spaces with each extension or addition that we provide to a house, ensuring that there is a successful integration between new and existing. We endeavour to produce pragmatic solutions that meet the aspirations of our clients within the scope of the brief, as well as introducing elements of delight within the constraints of a budget. We try to avoid compromise but appreciate that our role as architects is to facilitate the realisation of our clients’ ideas in a manner which is understandable and open, allowing for a two way dialogue to ensure a good working relationship that will contribute to a building that exceeds our clients’ expectations.